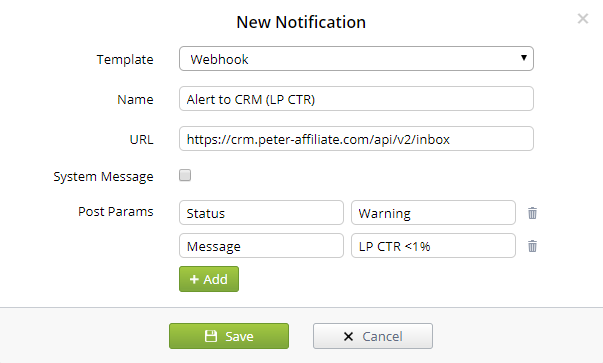 With notifications tracker can report you about updates, high load or critical errors (for example, if your server runs out of space) in a convenient way. In addition, notifications allow you to monitor a configured triggers execution in the tracker in real time. At the moment, Binom has four notification templates - email, telegram, sms and webhook. Using the System message switch, you can enable sending of critical tracker errors, for example, send them to telegrams, but not to mail. After setting up this notification, you will receive a confirmation email. This notification will not work if you don’t confirm it from your e-mail. 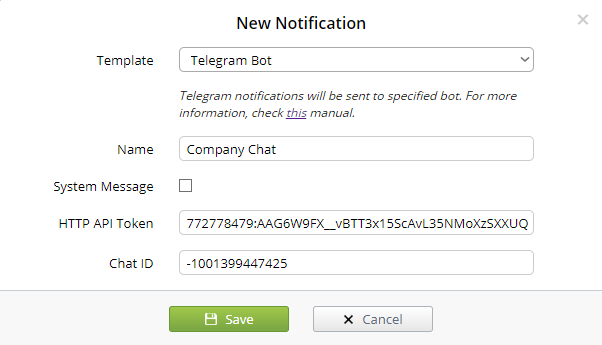 To set up notifications you will need your own bot. 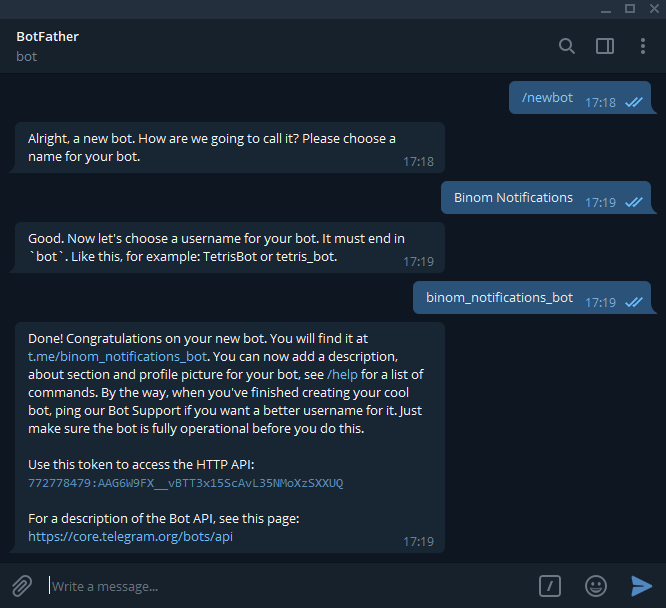 To create a new bot, you need to write the @BotFather /newbot command. Next, you will be asked to choose a name for the bot and its unique username. 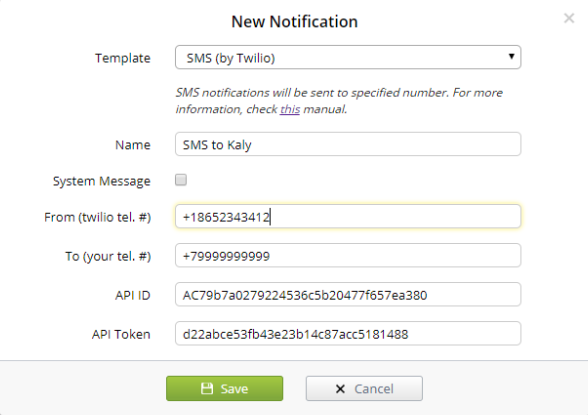 SMS is configuring using the Twilio service. 1. Register on the Twilio service. 8. By default, you can send SMS only to the number you specified during registration and if you need to add additional, you can do it in the service settings. Additionally, you can specify any POST-parameters.